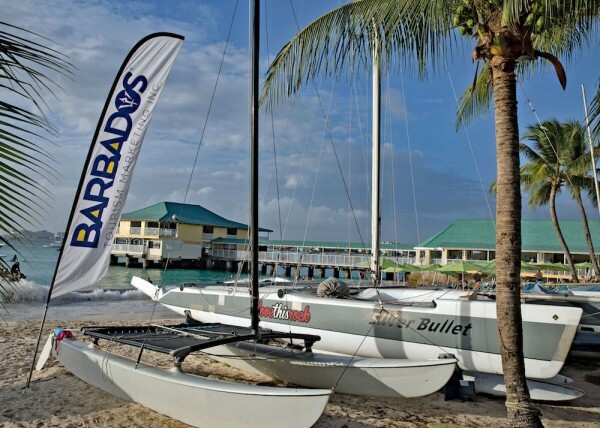 A skippers’ briefing at the Radisson Aquatica Resort, followed by the first of many beach parties at Barbados Cruising Club last night, gave competitors, families and guests a chance to enjoy the local Bajan hospitality to not only mark the start of this popular annual event but also celebrate the start of the Caribbean regatta season. Howard Palmer (Chairman of the Race Committee) in his opening speech at the Skippers’ Briefing made special mention of the recent re-branding of the event – Barbados Sailing Week – and Mount Gay’s continued involvement as the headline sponsor for the Round Barbados Race, which is a unique challenge that gives teams a chance to win their skipper’s weight in rum if any of the 20 records are broken. Another change for this year’s event is the return of the hugely competitive J/24 class which, by popular demand, has its own intense, two-day/four-race series (19-20 January). Going by previous form, racing for honours in this class will closely fought with results undoubtedly going down to wire. Those signed up so far include Robbie Yearwood (IWW Die Hard), Gus Reader (Glory Daze), Neil Burke (Impulse), and Cyril Lecrenay (Bunga Bunga). 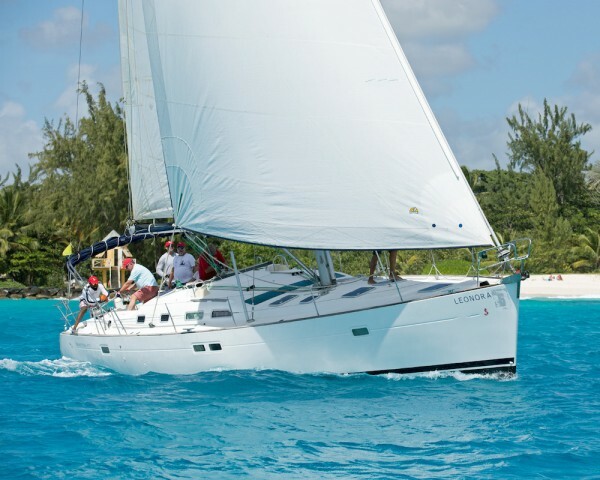 Today’s opening three-day Coastal Series for all-comers (17-19 January), looks set to produce a decent breeze, which should give keen racers a chance to enjoy stunning sailing in the clear turquoise waters off Carlisle Bay in the south-west corner of the Island. 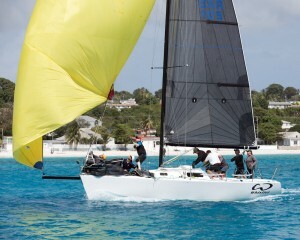 In the meantime, entries for this popular series are still flowing in with the likes of local favourites such as Peter Lewis’ Whistler (J/105) and Conviction (Botin Carkeek-designed TP52), which are hoping to defend or better their positions from last year in CSA Racing class. 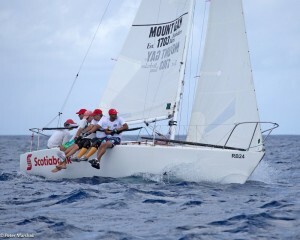 Overseas entries in this class include Spirit of Juno (Farr 65), and Andreas Berg’s Luna (Dufour 44) from Germany who last year broke the Mount Gay Round Barbados Race Singlehanded record. 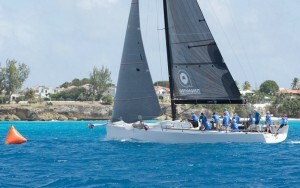 Gracing the waters of Barbados once again is The Blue Peter – Mat Barker’s pretty Alfred Mylne 65, which will be racing the Coastal Series as well as next Sunday’s Mount Gay Round Barbados Race. 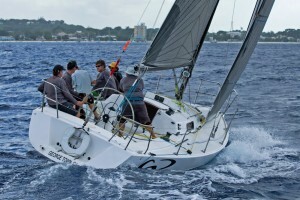 As always, the entry list for this 60nm sprint round the island of Barbados is building with those not only keen to have a go at defending records from previous years, but also those keen to have a crack at setting brand-new bench marks. 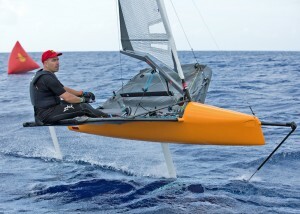 Andy Budgen who established a new Foiling Monohull record last year has returned this year with a new Exocet International Moth. If the wind remains favourable, Budgen has every chance of bettering his own record, which currently stands at 4h, 23min, 18sec. 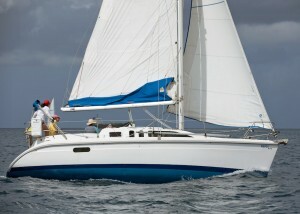 Another foiler planning to take part is Sebastian Ohara in his Windrider Wave Foiling Tri Banana Split. Charles Hunt, the local speedster/record breaker on his Phantom Batwing 377 windsurfer should have a bit more company this year in the Windsurf category with not only Frenchman Cornic Fabrice on a Fanatic taking part, but also fellow French sailor Frederic Vernhes on a Starboard Phantom. 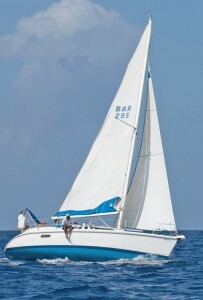 To add mix to an already interesting fleet are four kiteboard sailors who also intend to circumnavigate the island and, at the other end of the scale there will be Ruth, the locally built 33m schooner, and Tres Hombres, the 33m working Brigantine. 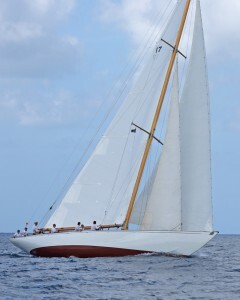 One of the most exciting entries to make her debut at this event, and indeed one of the most likely record-breakers, is CSQ, the 100ft multi-winged supermaxi from Australia skippered by Ludde Ingvall a former round the world yachtsman, world champion and record holder. 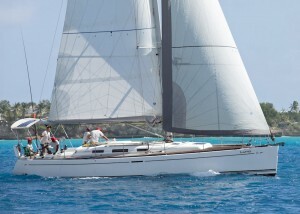 Team CQS is currently en-route to Barbados and should, if all goes to plan, arrive on Friday 19 January. 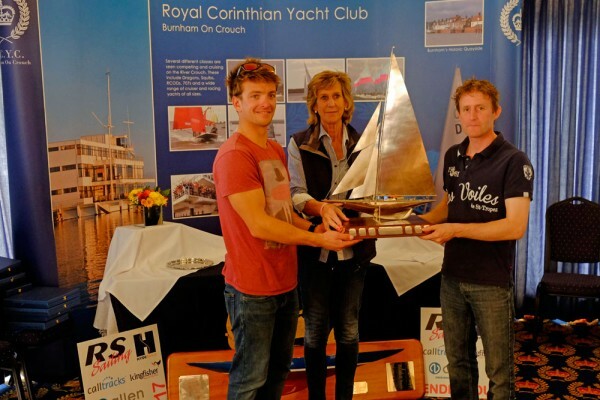 Royal Corinthian YC, Burnham-on-Crouch, Essex (14 October, 2017): With three wins in the bag after today’s Endeavour Trophy opening five races, Ben Saxton and Toby Lewis (reigning Endeavour champions) lead the Endeavour Trophy series by just one point from Nick Craig and Holly Scott (D-One) writes Sue Pelling. 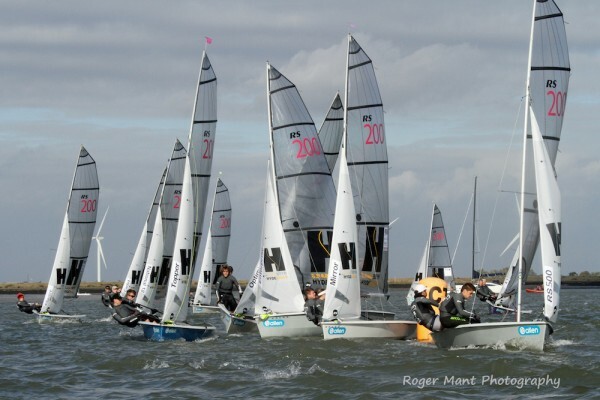 In perfect sunny conditions and wind averaging out at 15kts, the 30-strong Endeavour fleet of champions from the most popular and competitive racing classes, was put to the test with five back-to-back races in challenging tidal conditions on the River Crouch. 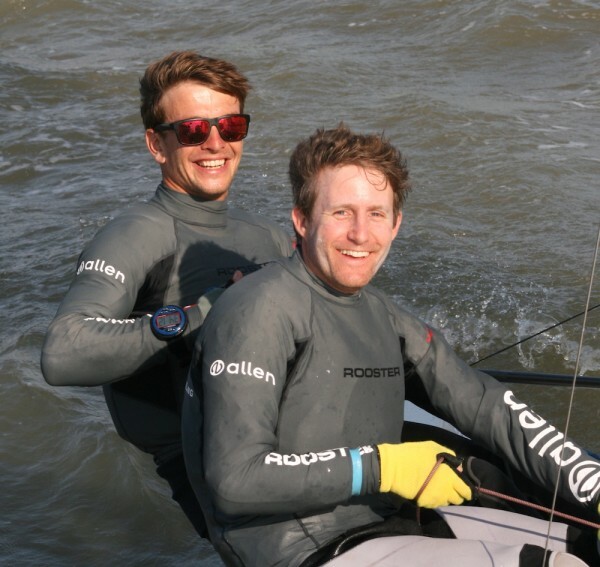 Olympic Nacra 17 sailor Saxton, and Lewis his super-talented crewman, in their 10-year-old RS200, started the eight-race Endeavour Series where they left off last year by notching up three straight wins in the opening races. In a fairly strong ebbing tide and committee boat biased start line, the first race got underway in a good working breeze that made for some exciting downwind planning conditions. 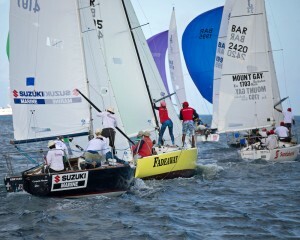 Saxon and Lewis slotted into the front rank immediately and at the top mark led the race by over a minute. Craig and Scott worked hard but had to settle for second. Saxton and Lewis repeated their performance in the next two races, but in race four Craig (six-time Endeavour champion) and Scott were back on form and performed exceptionally well on downwind legs. 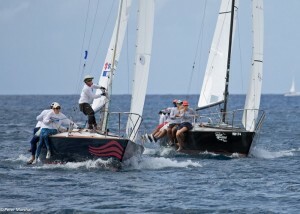 By the second leeward mark they led the race by over 20 seconds. 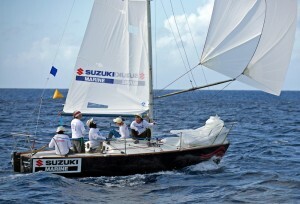 Christian Birrell and Rob Henderson (470) who were lying second suffered an OCS in that race, which left Roger and Jane Gilbert (International 14) in second place, while Saxton and Lewis finished fourth. The Gilberts, who finished the day with 17 points, in third place overall are definitely going to be a team to watch in the final showdown tomorrow. Another win for Craig and Scott in the fifth race of the day, and a second for Saxton and Lewis after a race-long battle with Ben Palmer and Amy Seabright (RS200), means there is now just one point between the two favourites. Commenting on his impressive performance, Saxton said: “We had a fun day and we are really enjoying being back on the River competing here at the Endeavour. 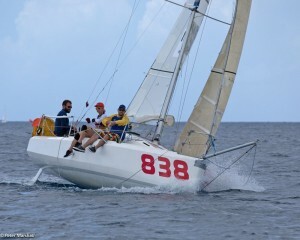 It is fantastic to have someone like Toby in the front of the boat. 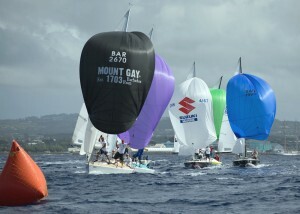 The standard of racing was, not surprisingly, top class throughout with the strong youth contingent performing well. Local champions Ben Hutton-Penman and Lucy Hewitson (RS Feva) suffered with gear failure in the first race but from there on they managed to gain some good consistent results in the middle of the fleet, which leaves them in 17th overall. After a tough and exhausting day on the water, competitors are back on shore enjoying the full Endeavour experience at the annual dinner at the Royal Corinthian Yacht Club where the solid silver Endeavour Trophy is on display.